Well.ca is offering a special for St.Patrick's Day! 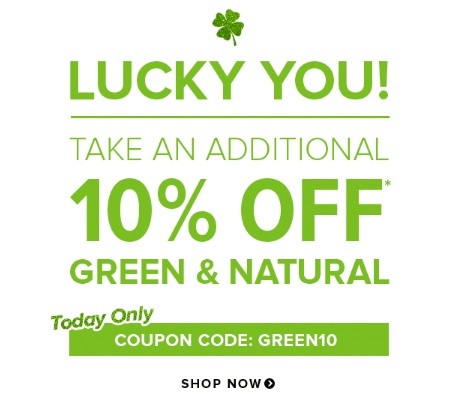 10% Off Green & Natural products today only! Enter the promo code GREEN10 at checkout. Offer ends March 17 at 11:59pm ET. Coupon only works on Green & Natural category. If you're interested in $10 off anything on Well.ca enter our exclusive promo code CDDMARCH to get $10 o ff $40. Must be a new customer and paying with credit card with the link below.